This is my second project in matt painting. 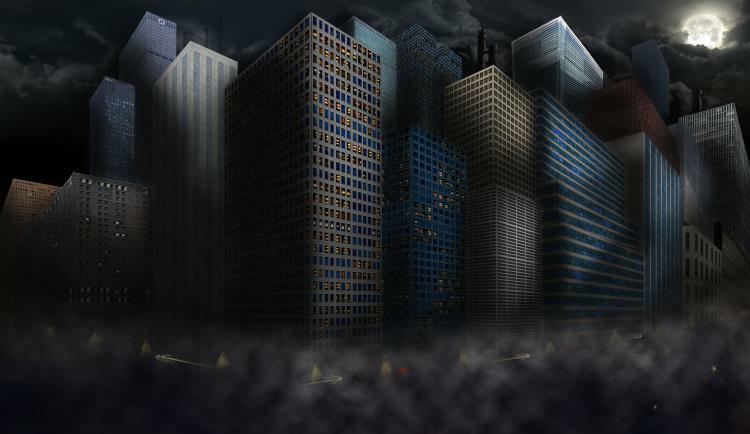 Cityscape, working with two points perspective. I think Batman somewhere between this buildings.